It's "bigger than that one seat," the likely incoming Speaker said, but about the "integrity of elections." 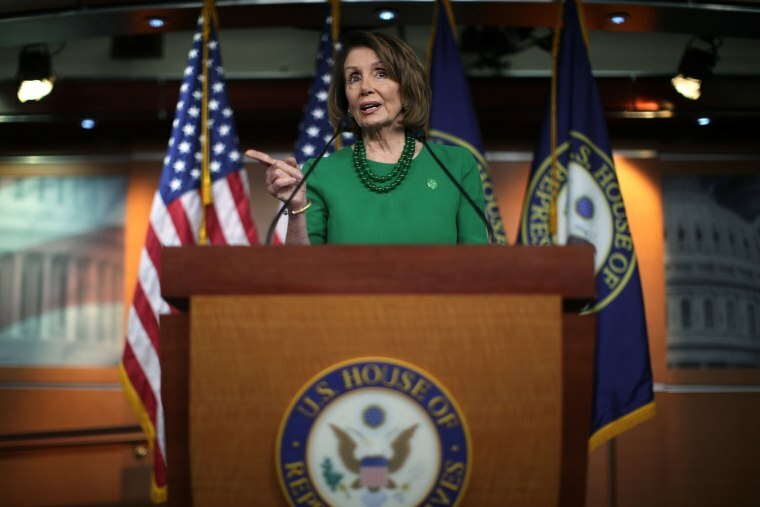 WASHINGTON House Democratic Leader Nancy Pelosi says the chamber could take the "extraordinary step" of calling for a new election in a North Carolina congressional district if the winner is unclear amid allegations of voter fraud. Pelosi said Thursday the House "retains the right to decide who is seated." She said "any member-elect can object to the seating and the swearing-in of another member elect." Officials in North Carolina are investigating voter fraud allegations. Republican Mark Harris leads Democrat Dan McCready by about 900 votes, but results are not certified. Pelosi is nominated to become House speaker when Democrats take control in January. The House Administration committee has "full investigative authority to determine the winner," she said. It's "bigger than that one seat," she said, but about the "integrity of elections." A spokesperson for Speaker Paul Ryan, AshLee Strong, told NBC News: "There is an ongoing investigation by state officials, and the speaker believes that is appropriate."